Frag sofas are ultra modern and cool. They are made of leather, which is exactly what Frag is known for. The international brand has been treating leathers since 1921. High-quality leather is just what living rooms need, and Frag has a lot of those to create great furniture. 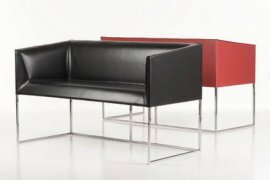 Every piece of furniture made by this Frag is integrated with leather, which gives an elegant look and comfortable feel. Leather is also very contemporary, even if it has been used to make furniture since the 1920s.